The Schottische is one of the oldest folk dances, originally from Bohemia, which became popular in Victorian-era ballrooms. 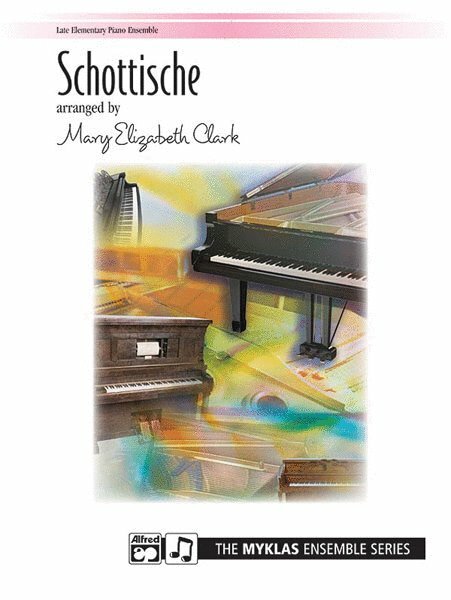 This one-page piece by Klicker is arranged for late elementary piano ensemble, two pianos, eight hands by Mary Elizabeth Clark. An optional part for rhythm instruments is included. A Federation Festivals 2014-2016 selection.